The banana boat ride is the most popular rides that people explore in Dubai along with parasailing. Not only does Go Yachting Dubai offer such watersports but it also ensures that the safety of all its guests is being given the top priority. Accordingly, helmet and life jackets are mandatory for all the guests. 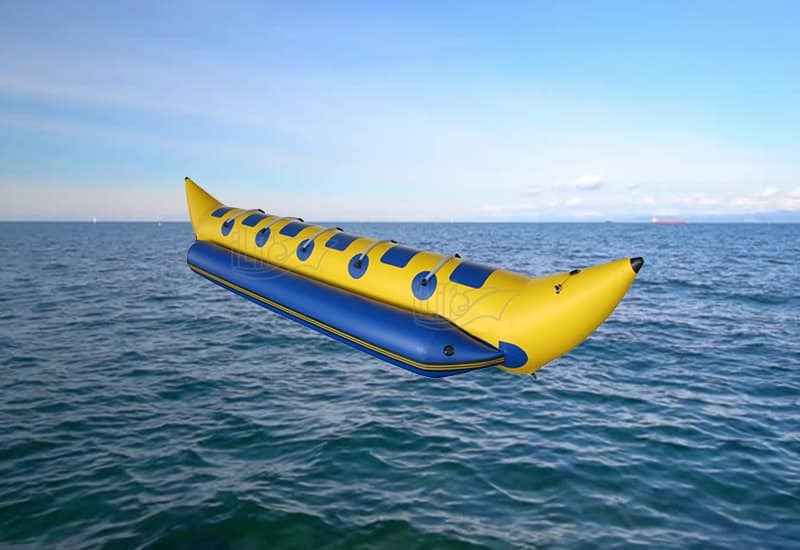 Ride our giant inflatable banana craft pulled by a powerful speedy boat, Thrill as you crash through the breakers into the warm blue waters, hold on tight as you bounce over the chop and wave experience thrill and exhilaration together. The banana boat ride is the most popular and exciting rides that people explore in Dubai along with parasailing. 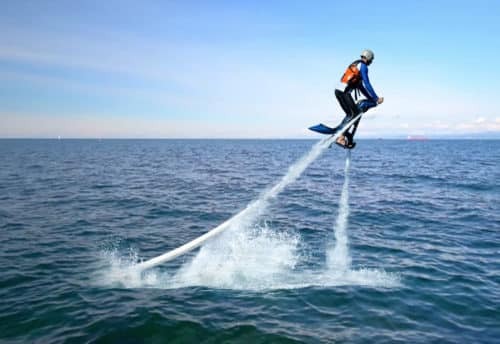 Not only does Skyland tourism offer such water sports but it also ensures that the safety of all its guests is being given the top priority. Accordingly, helmet and life jackets are mandatory as a safety measures for all the guests. Banana Boat Ride promises you to feel joyful; you feel the water splashes and cool breezes on your face. Which makes your mood refreshed? It is for sure worth visiting the place- especially for those who love water sports and are looking for a thrilling adventure. 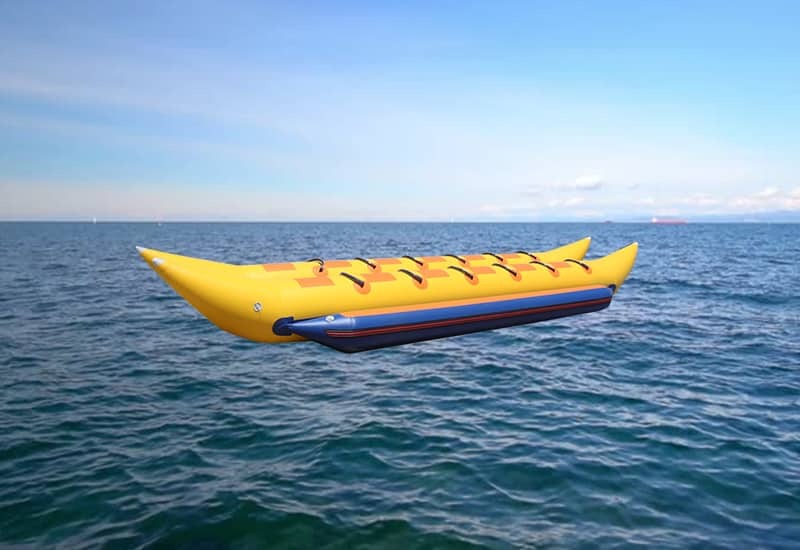 Banana boats have the capacity to accommodate up to 6 people, and it is considered to be a fun water sports activity, which keeps you sound and healthy. If you are a sports freak- so absolutely do not miss this opportunity to spend your vacation-days on this place and book us to get a chance to avail exclusive deal by us. 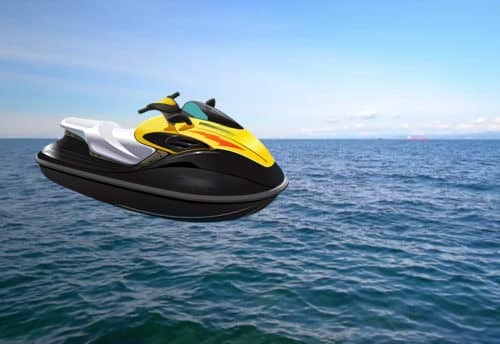 Banana Boat Ride of Dubai is quite popular, and the best factor is that they don’t only offer exciting package but it also ensures that the safety of the guest should be kept on first priority, so don’t worry about safety because you will be provided with the life jackets and these are mandatory for all the visitors. It is a great idea to have some time with your loved ones during your holidays and it is also known as a famous picnic spot to relax and have a just perfect time of your lives together! 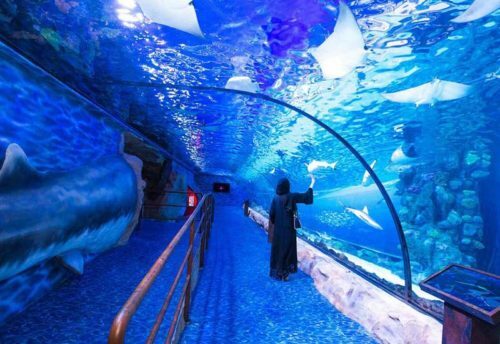 So pack up your bags, feel the cool water splashes and go experience Dubai’s flashing water with an exciting ride. Cash payment in form of Local Currency is accepted at the pickup time. Once you fill out our form online and do the needful you will receive a real time confirmation on your screens immediately. You will receive an email confirmation from our booking team confirming the details of your trip; you can reach us for any query. There would be a follow up via phone call (on International Number) before the trips due date, you will also receive text messages via WHATS APP as a reminder on the developments on your tour to the Arabian Deserts.